Kim Huynh considers what drives ultra-endurance runners in Canberra to go way beyond the pain barrier. Recently, I had the opportunity to interview some ultra-marathon runners as they completed the second-ever Canberra 48-hour race. I didn’t think I would get much out of them given that they had been going non-stop around the AIS running track for two days. However, their answers and energy levels were astonishing. Kim Huynh: How do you feel after completing nine marathons, that’s 404 kilometres and 1011 laps of the AIS running track? Mick Thwaites (men’s winner and multi-day running legend): Bit tired. 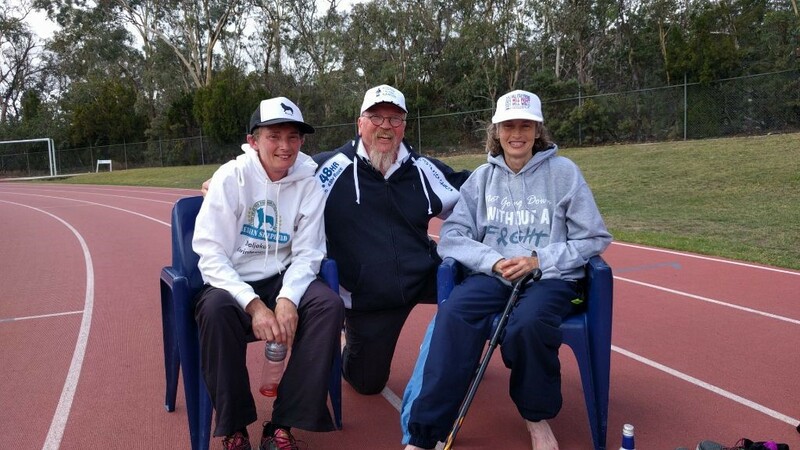 Linda and Heather Christison of Bundanoon, who came equal third in the women’s race, are two of the most inspirational athletes in the country. Linda was diagnosed with Parkinson’s disease in 2004 and competes with support from her sister and a cane. Nevin Spoljaric won the “best blisters” award. Having never done anything longer than 50km before, his ankles swelled up and he developed a great many sores on top of his feet. 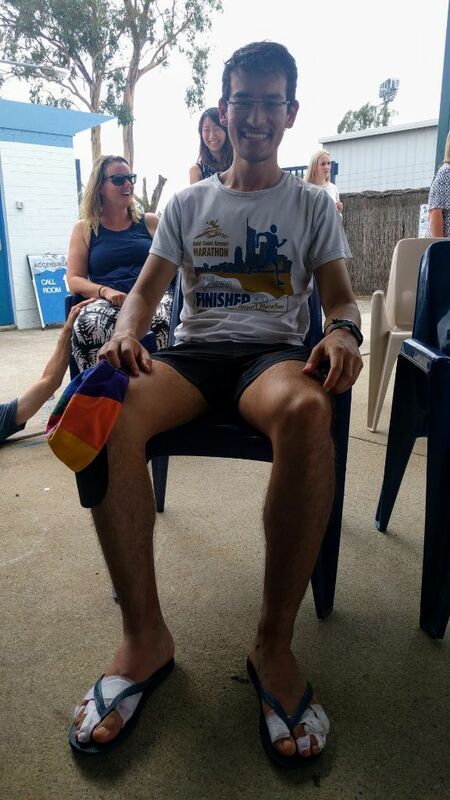 Determined to finish, Nevin discarded his running shoes and shuffled along for the last five hours in a pair of thongs. Prior to attending this event I thought that there was something whacky about ultra-endurance sports, indeed most endurance sports. They take a great deal of time and effort, and can be risky. Cyclist Mike Hall’s death on the Monaro Highway just as he was about to complete the Indian Pacific Wheel Race across Australia, is a stark and sad example of how dangerous these events can be. Moreover, the material rewards are measly. And they seem so very lonely. But after speaking to some athletes and exploring what motivates them to embrace such mammoth challenges, I can see the sense behind their insanity. The risks and dangers should be put in perspective: firstly, against the risks inherent in just about any sport (especially contact sports); and secondly, against the hazards of a sedentary life. While endurance sports demand much discipline, they require far less time than I presumed. The ultra-runners whom I spoke to trained for about two hours a day, often getting up early so that their running didn’t impinge too much on the rest of their lives. In ultra-events athletes are not simply trying to accomplish something that they have done many times over in training (for example, run 100 metres or throw a discus). Consequently, they need to overcome immense physical, emotional and mental barriers. And the prospect of non-completion is ever present. This is what makes ultra-endurance sports so dramatic and rewarding. Of course, the nature and format of these sports means that they are rarely lucrative. Who wants to watch someone run, ride or swim for days? The longest running race in the world involves going around an ordinary block in Queens New York for 3100 miles (4988kms) over 52 days during the summer. Suprabha Beckjord has won the women’s event thirteen times, which means that she’s spent about two years of her life in that race alone. Those who complete this incredible feat known as “Self-Transcendence” get a wreath and are serenaded by a chorus of Sri Chinmoy followers. “Self-Transcendence” aptly describes the intangible reward of endurance sports, which lies in pushing beyond boundaries and somehow discovering oneself with both grandeur and humility. Mick Thwaites pointed towards the Zen-like sense of being that comes with such races when he revealed that he didn’t listen to music or indeed anything during his 48-hour run. He focused on nothing, nothing at all. While ultra-endurance athletes come in all sorts of shapes and sizes, I’ve found that they often have an adventurist spirit. But this does not mean that they are loners. Often, they rely upon a small band of volunteers to provide sustenance and encouragement. For Billy Pearce and many ultra-endurance athletes, sport is far more about community and camaraderie than competition. Tell us about your experiences of ultra-endurance events in and around Canberra? Why do you think people do them? How did you find participating in them or volunteering? Are ultra-endurance athletes insane or inspirational? Kim Huynh is a RiotACT columnist, lectures politics and international relations at the ANU and hosts Drive on ABC Radio Canberra every second Friday. 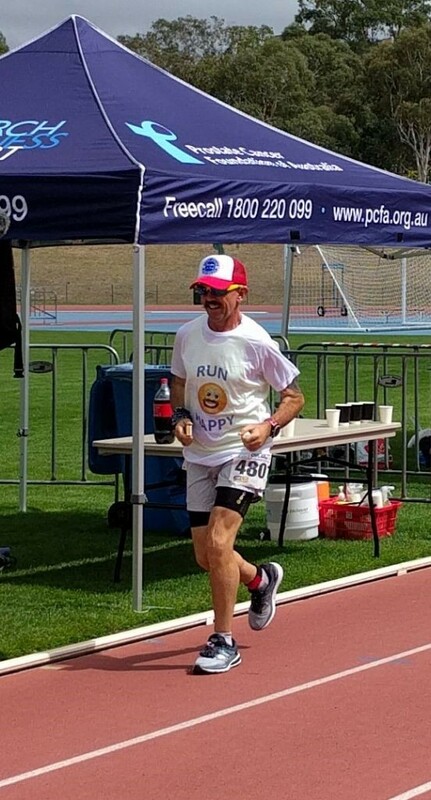 He was so impressed by the athletes in the Canberra 48-hour race that he decided on the day to participate in one of the shorter associated runs (6 hours, 12 hours, 24 hours or a night marathon) in 2018. He has since changed his mind. Captions: top, Heather Christison, Billy Pearce and Linda Christison. Photo 2, Mick Thwaites – The Roger Federer of ultra-running. Photo 3, the “best blisters” of Nevin Spoljaric. Above, the AIS running track. There is one key reason for such people to enter such gruelling events … personal challenge … and everyone should have a personal challenge of some sorts … such as attempting public office LOL … people who enter these events have been disciplined in their training and highly focused … they really believe in themselves … and that they can reach the finish line … this must be admired … though very few of us have the bodies or the desire to set this as a personal challenge!